Infosys was established in the year 1981. By directing clients' innovation agenda, Infosys today enables global businesses to build the enterprises of tomorrow. Today's businesses require the agility to adapt, the capacity to expand, and most importantly, the culture to innovate. From helping the airline industry develop lighter frame crafts and creating better fuel efficiency in smart cars, to bringing financial services to remote parts of the world, Infosys has enabled clients' innovation through technology leadership, providing pathways to leaner, stronger, and more efficient organizations. Clients in 30 countries depend on Infosys to inspire their innovation spirit, maximizing growth and competitive strength. In 1981, seven engineers started Infosys Limited with just $250. From the beginning, the company was founded on the principle of building and implementing great ideas that drive progress for clients and enhance lives through enterprise solutions. For over three decades, it has been a company focused on bringing to life great ideas and enterprise solutions that drive progress for its clients. Today, Infosys is a global leader in consulting, technology and outsourcing with revenues of US$7.2 billion (LTM Q3 FY13) - helping clients from over 30 countries build their enterprises of tomorrow. Infosys acquires the company Lodestone Holding AG, a leading management consultancy based in Switzerland. 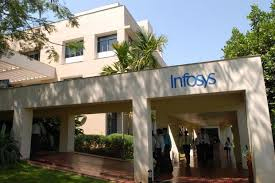 Forbes ranks Infosys among the most innovative companies in the world. Infosys crosses the US$ 7 billion revenue mark. N. R. Narayana Murthy hands over chairmanship to K.V. Kamath. Infosys crosses the US$ 5 billion revenue mark. Infosys opens its first development center in Brazil and second Latin American development center in Monterrey, Mexico Infosys selected as a member of The Global Dow, Employee strength grows to over 100,000. 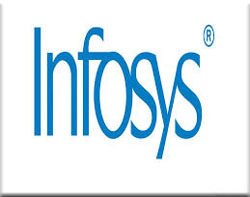 Infosys crosses revenues of US$ $ 4.18 billion, Annual net profits cross US$ 1 billion. From the beginning, the company was founded on the principle of building and implementing great ideas that drive progress for clients and enhance lives through enterprise solutions. For over three decades, it has been a company focused on bringing to life great ideas and enterprise solutions that drive progress for our clients.Today, Infosys is a global leader in consulting. Technology and outsourcing with revenues of US$7.2 billion (LTM Q3 FY13) - helping clients from over 30 countries build their enterprises of tomorrow, Infosys has a growing global presence with more than 155,000 employees worldwide, across 67 offices and 69 development centers in the United States, India, China, Australia, Japan, Middle East, and Europe. At Infosys, people believe that responsibilities also extend beyond business. That's why the organization has established the Infosys Foundation to provide assistance to some of the most socially and economically depressed sectors of the communities in which the organization work. The organization believes and behaves ethically and honestly in all the interactions - with the clients, partners and employees.